The BOURKE range contains ten items. All are made using solid, stained Acacia wood, plus some Acacia veneer. 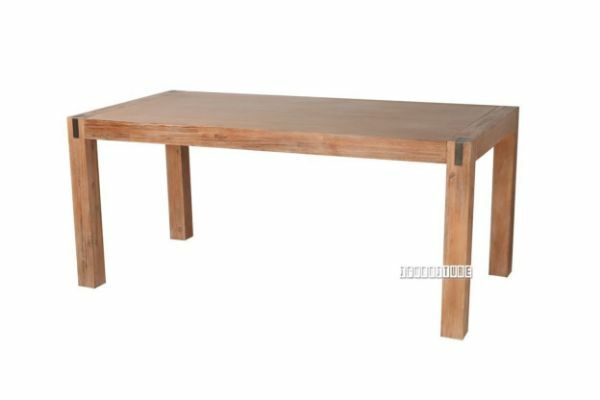 Quality is evident, through the use of solid acacia wood corners, all door and drawer handle being of steel, with steel hinges and smooth steel runners. The style is smart modern, as the light redwood, is set off by the metal insertions in all corners of the pieces. The BOURKE dining table measures 1800 by 900 wide, and 780 high, a great addition to any dining area. The ASTON series has been very popular in the reddish stain. Our KITO bench is an extension to our very popular range of oak furniture. The solid wood used is European Wild Oak, and displays unique features of the 'au naturel' timber used.